Amazing as always Gareth. The neon color on the black makes them look very distinct. I like the army a lot. 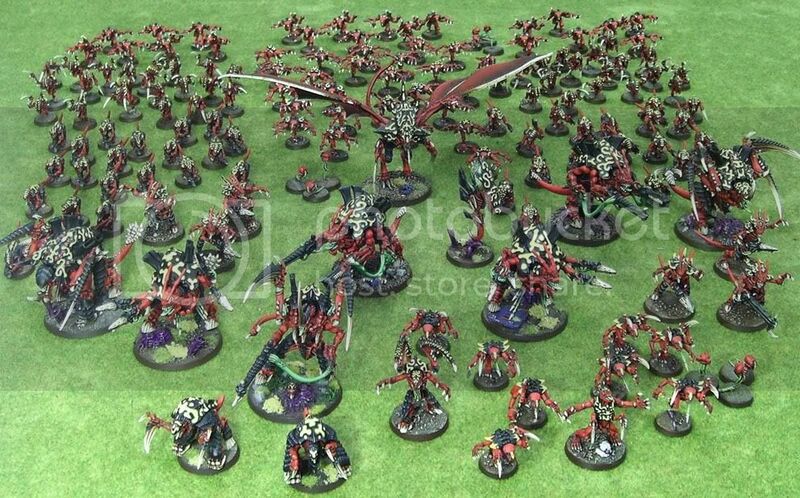 Holy... Gareth, I never knew your &#39;Nids army was this big. I think I just crapped my power armor. Awesome work. That is downright fearsome. Those Tyranids look great, so what&#39;s next on the agenda? Sweet Jesus! I bet that&#39;s a small section of Hive Fleet Dendrobates. You did it again Gareth, pure awesome work! Dude.... you&#39;ve buggled me! Those models are incredible, and it looks great as a group.